Land Rover has officially debuted its much anticipated Range Rover_e plug-in hybrid at the 2011 Geneva Motor Show. The range_e consists of a diesel 3.0-liter TDV6 coupled to a 69 kW electric motor that can achieve 334-horsepower combined. The transmission on the plug-in is an eight-speed ZF automatic gearbox, while the electric motor is powered by a 14-2 kWh lithium-ion battery. The range on the hybrid in all-electric mode stands at 20 miles, but the total range can go up to 690 miles on a full tank of diesel fuel. As for fuel economy figures, our better judgment says we should be weary of them, but the automaker claims that this 4WD vehicle can earn 85 mph (imperial). 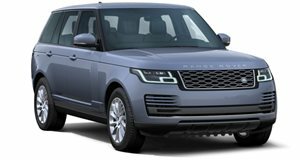 Land Rover states that the Range_e is still in testing, but it is developing the hybrid as a production vehicle that will eventually hit the markets.